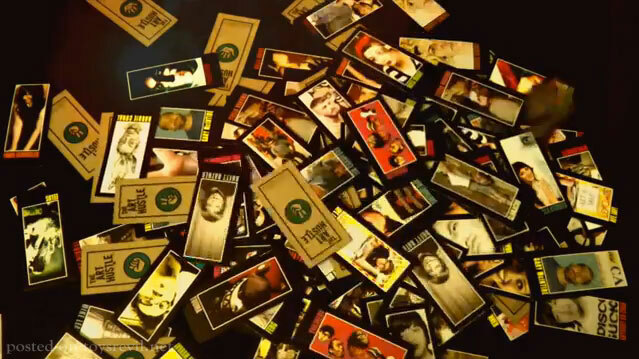 "TRADING CARDS". I love trading cards. And in the mid-90s, seemed I lived it a little bit too much unto a level of fanatism frankly unparalleled by my toys. (I have cupboards full of hand-collated sets and endless loose-cards to prove it, I insist). So when I had the chance to be part of a trading card set, one of my lifelong wishes had been fulfilled (especially post-Stroke, which was very gracious of the folks at CardHacks)! But the joy needs to be shared, and I cannot take on the bliss all by myself, can I? 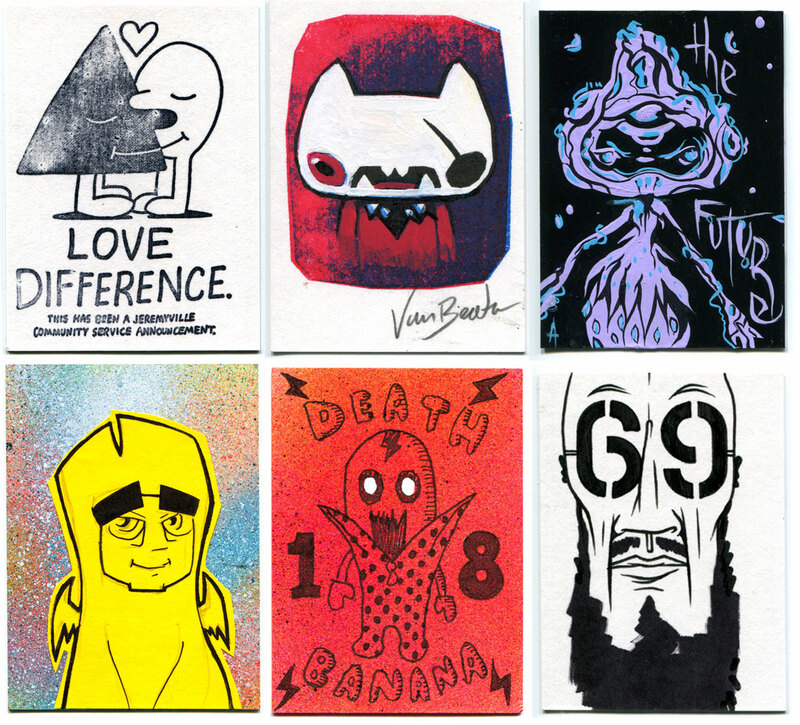 I had an opportunity for a quick online Q&A with Simeon Lipman, the man who considered me for the series, as well produces the upcoming ART HUSTLE SERIES 2 Trading Card set. Read on! TOYSREVIL: How did The CardHacks start? And what has kept you going so far? Who are the Card Hacks? SIMOEN LIPMAN: “The Cardhacks” was started because we needed a name that was unique to The Art Hustle project that would represent this side of the production team: myself Simeon Lipman, and co-producer Ashley Hawkins. 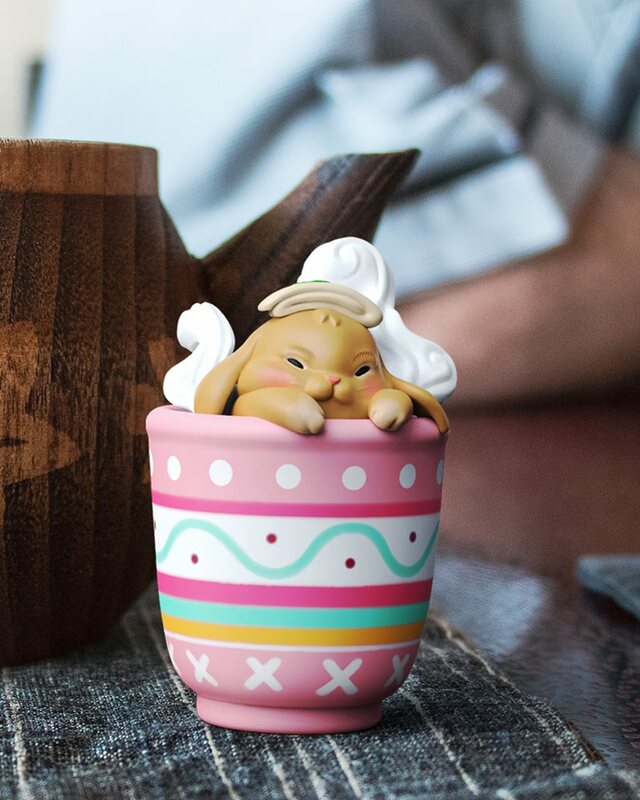 We’ve been known to delve into other creative projects here and there, but this project was an entirely separate organism. We got a laugh when we were once addressed as Mr. & Mrs. Hack. One very important point about The Art Hustle is that it’s a collaboration. The Cardhacks design and curate the sets, and handle all media and pre-production aspects. 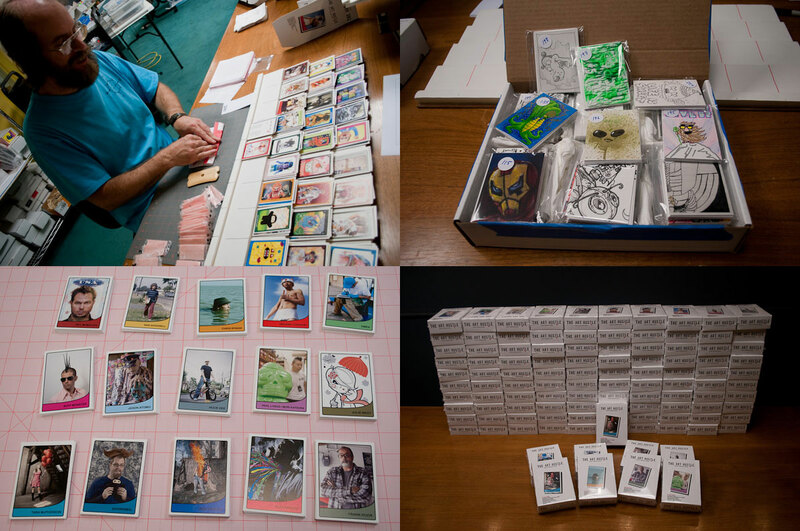 SideKick Media is our manufacturing partner, and handles the printing of the cards, the incredibly vital task of collating the cards, making wax packs, assembling boxes, and packing it all together. They’ve even custom built a contraption that helps with the collating process. SIMOEN LIPMAN: And, of course, there wouldn’t be a card set without the roster of talented individuals that contribute to the project. 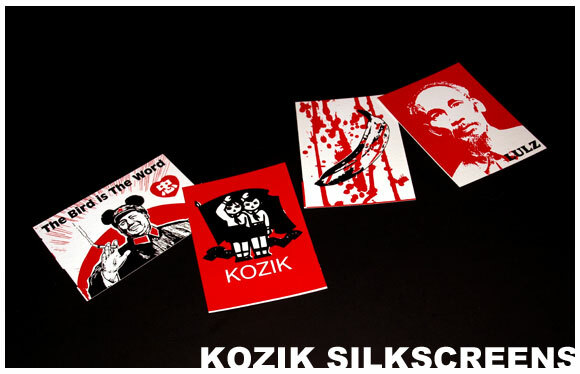 All images, interesting facts, signatures and customized art cards come to you thanks to their willingness, time and effort. What keeps us going? We’ve just gotten started! 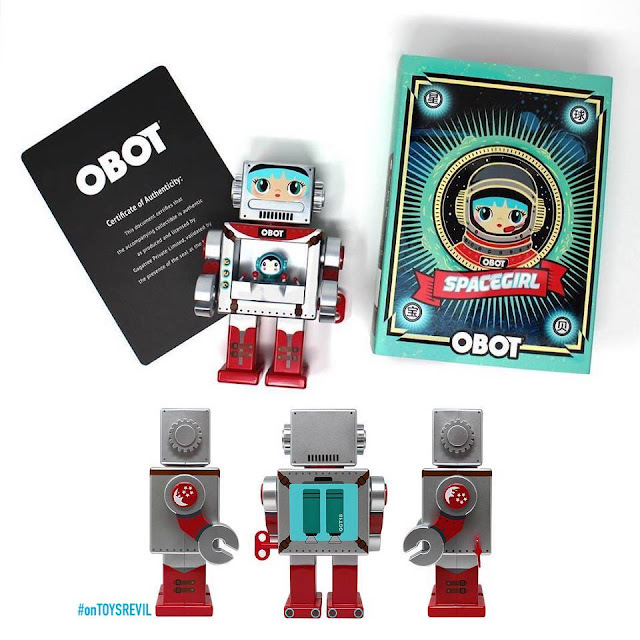 TOYSREVIL: And while I have not had the opportunity to partake of Art Hustle Series One, I wonder why would you delve into this arena of pop culture? 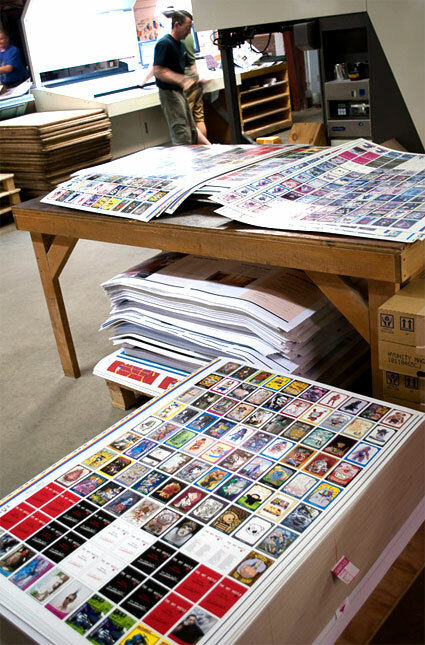 SIMOEN LIPMAN: Pop Culture and ephemera have been a prominent part of my life. It made perfect sense to combine two things that have always brought immense enjoyment to me: Art and Trading Cards. 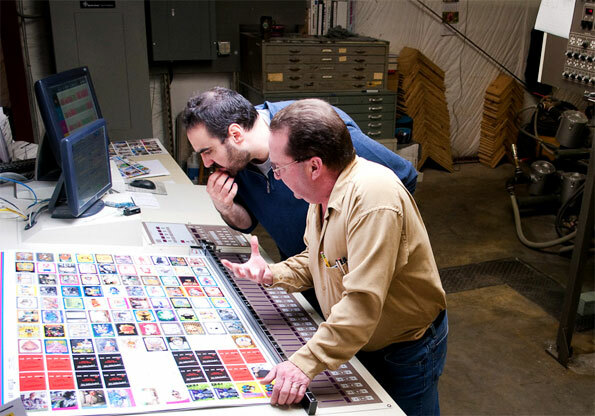 To put it mildly, I’m a trading card fanatic, and the idea to make the series slapped me in the face when I was talking with The Sucklord about the Suckpax trading card series he was preparing to do with SideKick Media. The Art Hustle had to happen; it was something that I was compelled to create. The fact that so many talented people agreed to participate was a whole other matter. It was when the signature and original art cards started trickling in and then the deluge, that it hit us that this idea had become something very real, and it was pretty awesome. 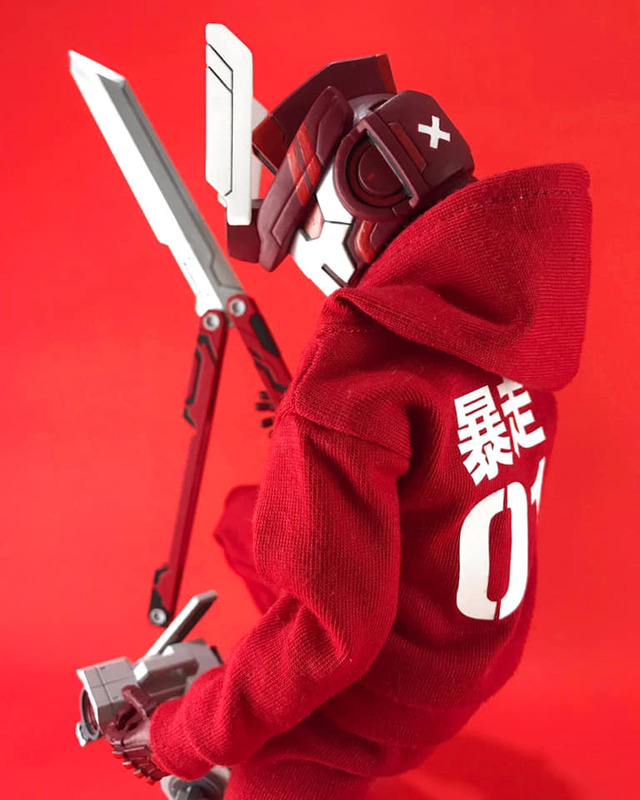 TOYSREVIL: Artists are used to be know as penniless practitioners. Do you think that has changed in the new millennium? And how do they react to your trading card ventures thus far? SIMOEN LIPMAN: The artists that have participated have been very supportive and excited to be involved in the project. Most like the idea of having their own trading card. I think artists today have an exciting spectrum of media to get creative with, and some great marketing tools available to get their names and work out there and to network with other artists. There’s a distinct do-it-yourself "climate" going on, but it still comes down to the raw fact that making a living as an artist requires a ton of work, commitment and hustle. 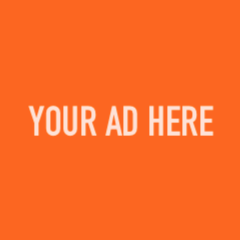 TOYSREVIL: I had wanted to ask "Who Is Your Target-Audience? ", but maybe I should be asking "Who Do You Want To Be Buying Your Cards?" 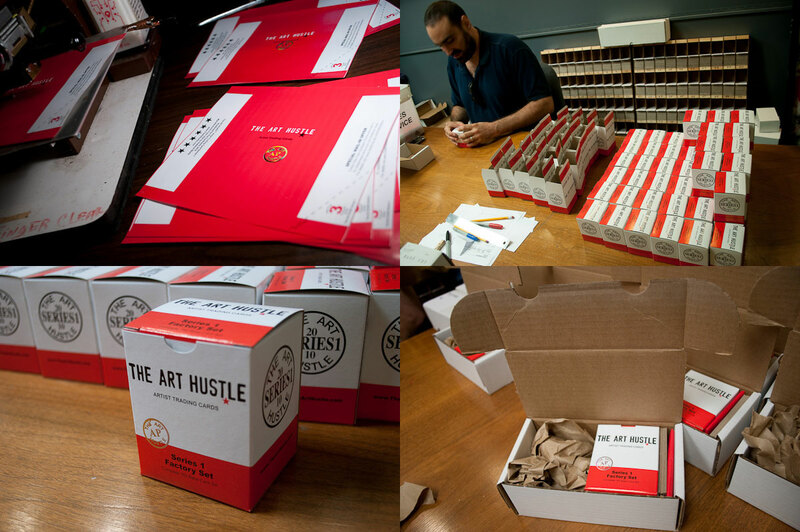 The Art Hustle consciously plays with some general perceptions associated with art collecting and trading cards. 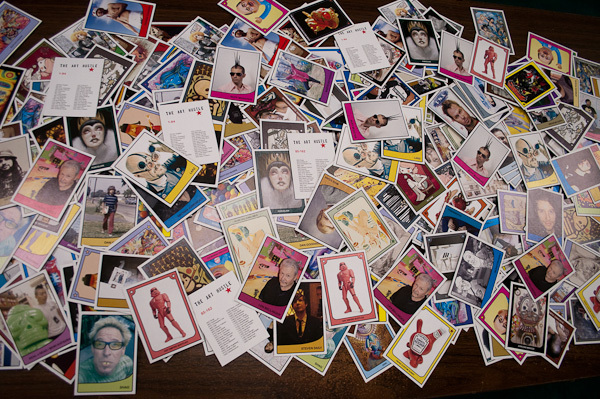 It also addresses the concept of trading cards as objects that can be both art and platforms for artistic expression. 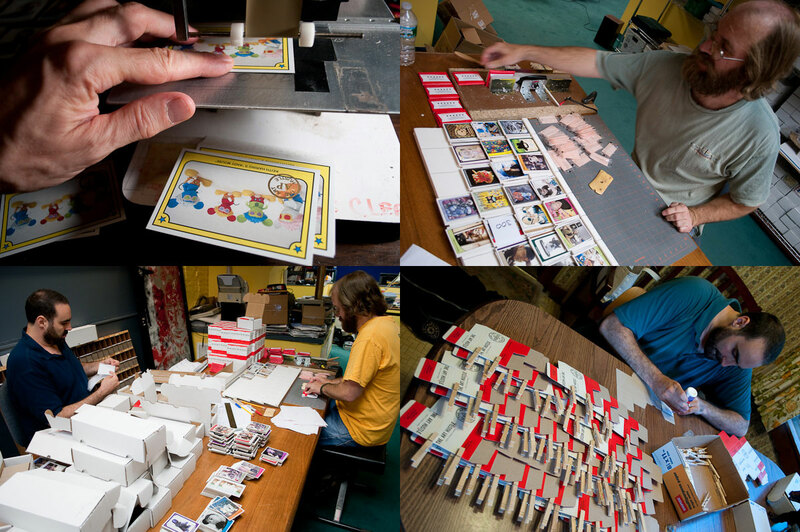 Card collecting may be new to many people who are fans of the participating artists in the set. On the flip side, some trading card collectors may discover this series and then discover the artists themselves, creating a whole new world of collecting for them. We really want this set to be interesting to the fans of the artists and art, and anyone who wants to check out some of the current cultural players. The set is entertaining, but also informative and meaningful that way. A number of people who would have never collected trading cards have been surprised at how into this series they’ve become, and that is a true testament to the artists involved. 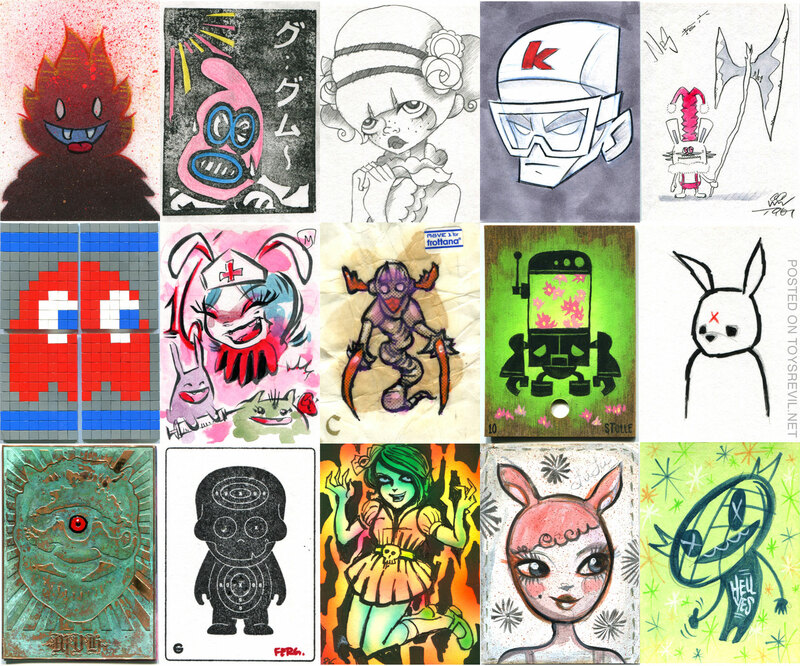 TOYSREVIL: What went into the selection in Art Hustle Series One? And how did the folk make the cut in Series Two? And why Series Two? SIMOEN LIPMAN: We aimed very high, and were very lucky so many artists said yes! We actually had a list of a number of artists much larger than Series 1, so we already had series 2 planned out to follow-up for the most part. Series 2 is the continuation of Series 1 and a necessity. 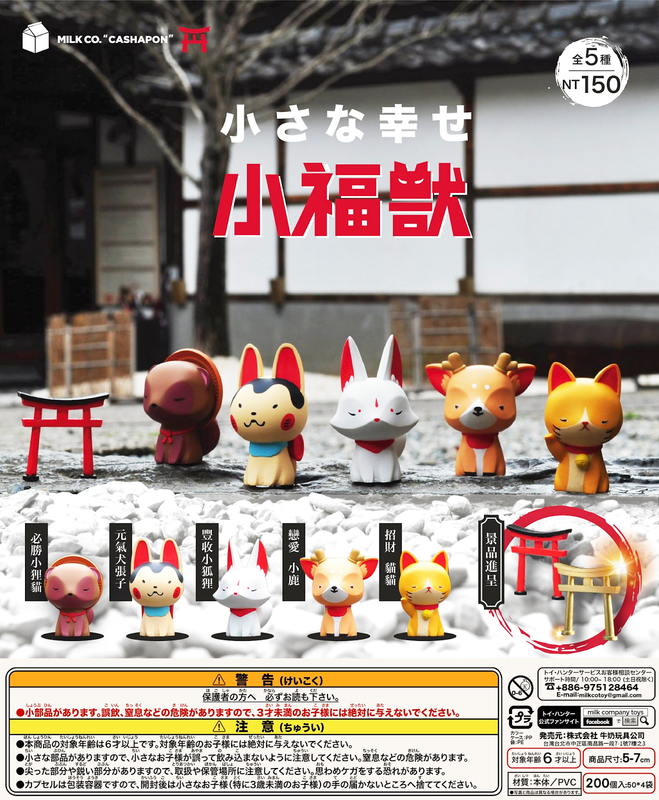 TOYSREVIL: Thinking ahead ~ Who or what will be your "dream" production set? What or Who sets your hearts a fluttering worthy of a completed hand-collated set? Any future plans beyond Art Hustle 2? SIMOEN LIPMAN: Getting Series 2 out and Series 3 completed is my dream right now. So far, The Art Hustle is it. It is the “dream” series. I have a good feeling that there are more series out there waiting to be produced. We’ll have to see. 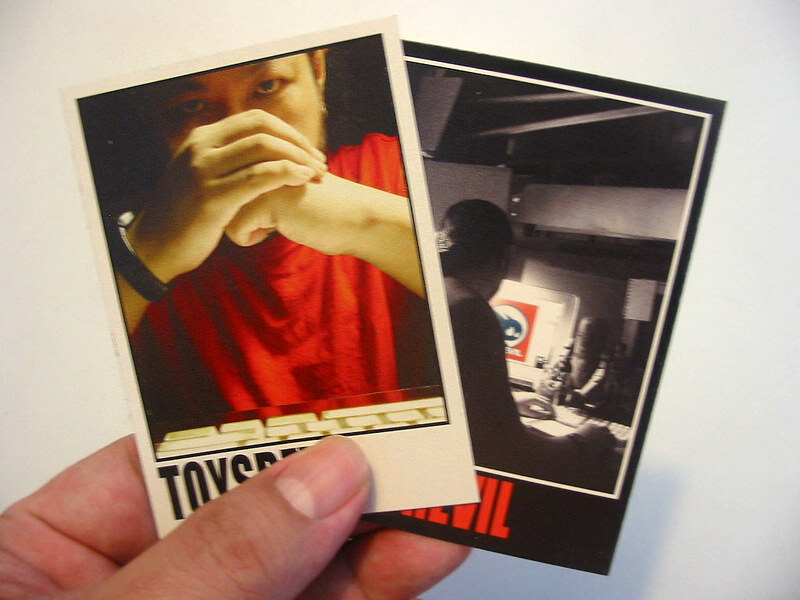 TOYSREVIL: I personally hobbied heavily in the 90s era of collectible trading cards ~ from Comic Images, to Fleer and Topps (which meant a whole lot of comicbook and fantasy art related hobby card sets, as well an abundance of media-related licenses) and actually missed out on the old skool products you parallel now in your production. Why the chosen take on the cards? What is it about the allure of bubblegum cards? Vintage 60s versus the swish smooth hobby cards of/in the mainstream now? SIMOEN LIPMAN: I’m not averse to the smooth cards, but there is an organic relationship (for me at least) when holding the chipboard card stock. There’s warmth and texture. It adds interest to the sensory experience. Same thing with the wax packaging. You could get all Freudian with this, and I’d be denying a life-time of experience if I didn’t acknowledge some kind of nostalgia associated with it, but in the larger picture of the The Art Hustle, it’s less about nostalgia and more about communicating a certain tactile experience. TOYSREVIL: "Golden age of cards" (as read on your website) = does that notion still hold true? Was the reaction for Series 1 successful to warrant another go with the same qualities? SIMOEN LIPMAN: The reaction was very positive. I think there is always the possibility and potential for it to evolve, and I hope that it has the opportunity to do so. TOYSREVIL: I might be utterly wrong here but seems you guys are having a ball of fun with the card extras! What do you have and what do you intend to do anytime soon? SIMOEN LIPMAN: You aren't wrong about it. At the core of the set lies the Artist Profile and Art Cards, and the chance to pull an Original Art/Sketch Card. Sprinkled in around all of that are the extra inserts that make opening a pack that much more exciting. The fact that the series is made in small runs allows us to have quality extras. 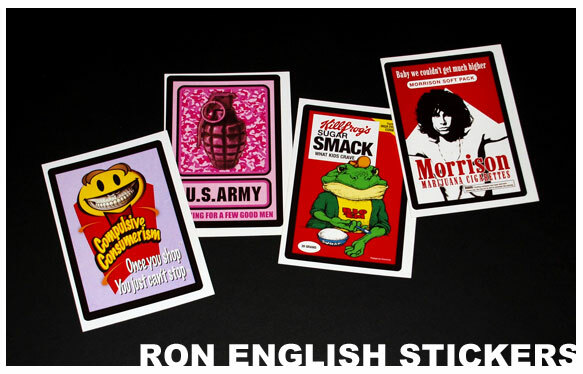 We like trying new things that will add an element of surprise, like the addition of the Artist Menko, Kozik silkscreens and Ron English Sticker Cards. 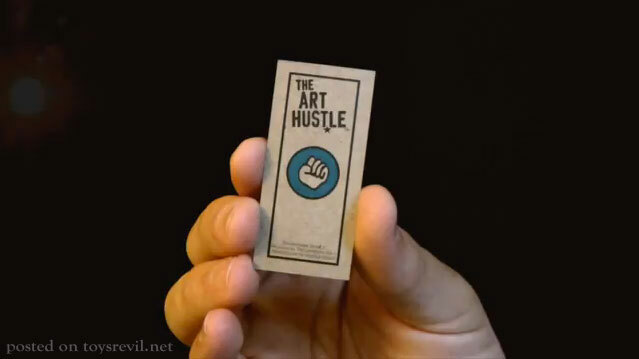 TOYSREVIL: Why should folks buy The Art Hustle Trading Cards? SIMOEN LIPMAN: There is so much good stuff going on and being created out there. 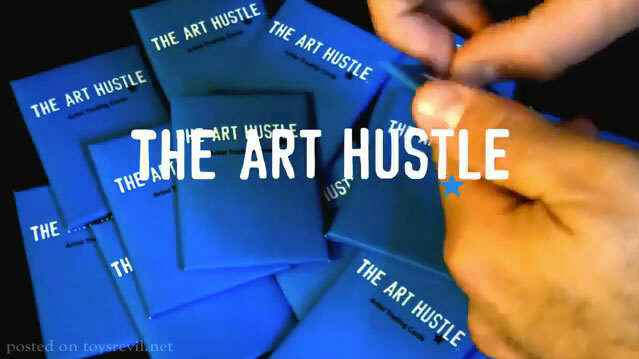 The Art Hustle immerses you into that world of creativity. You can’t be at numerous gallery openings or artist studios around the world at one time, but they can be with you in the form of trading cards. 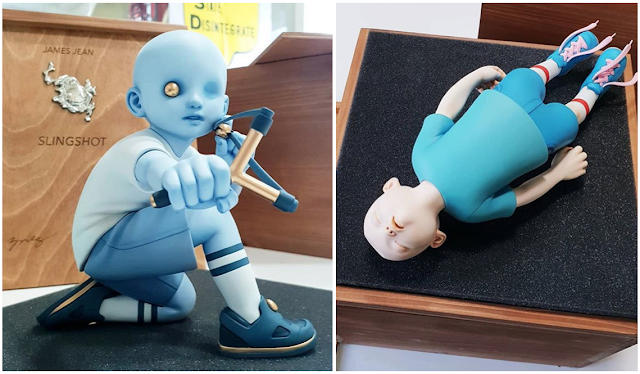 To top that off, you could end up with an original piece of art. 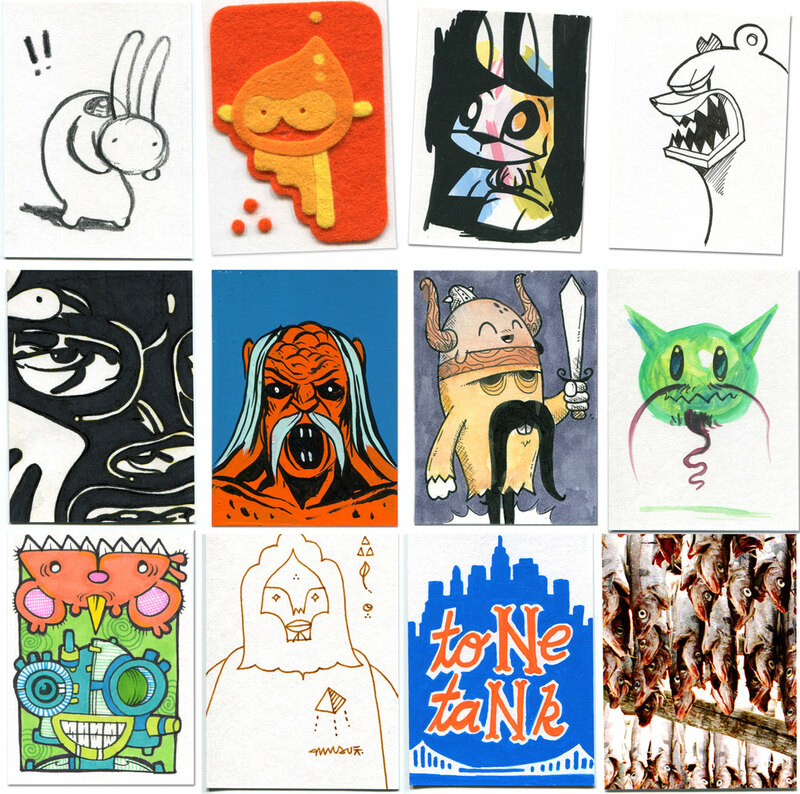 THE ART HUSTLE SERIES 2 Trading Card set launches June 8th, 2011. 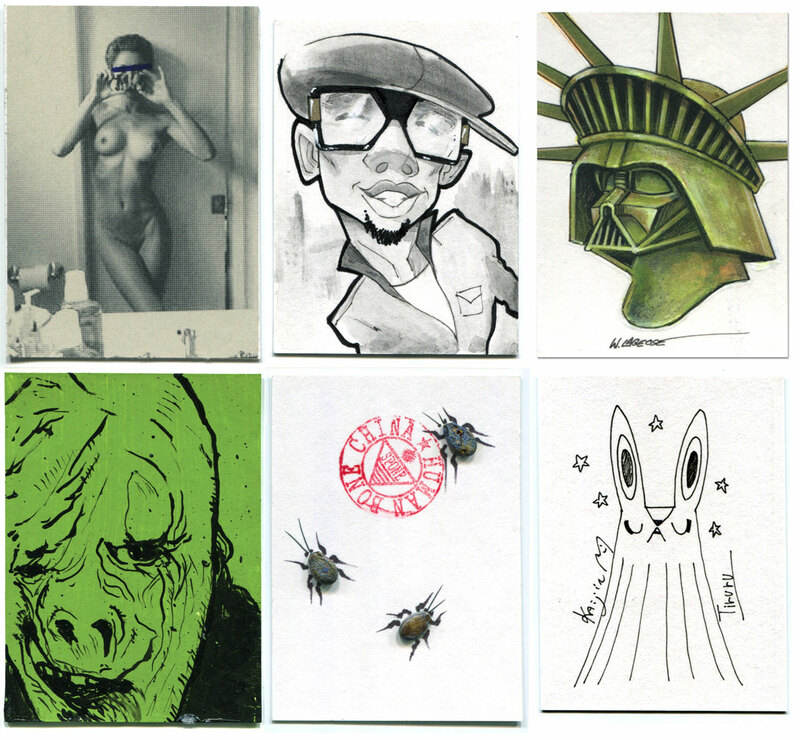 Art Cards revealed daily on @thearthustle. Meanwhile, CLICK HERE to read continued coverage of the series, and HERE for all-things trading cards on TOYSREVIL.